In dreams, it is said that wings represent a release of creative forces, that they give us the ability to understand and transcend the human condition. In religion, wings appear on angels, fairies, spirits and demons. In mythology, winged creatures are often messengers of the gods; they are a symbol of freedom and spirituality and a character having one wing is said to be lost in dreams. 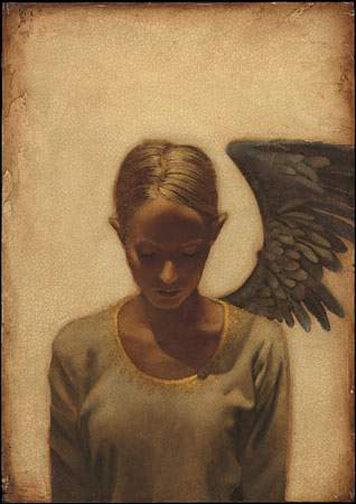 This latest release from James C. Christensen has the power to both provoke and inspire.